Need baby shower foods? Baby showers are such a fun way to welcome and celebrate a new arrival. I love family and friends gathering together to shower the new baby and new Mom with gifts. Food is a major part of any good shower, so here are some great ideas I have used. This fruit-filled carriage would be a huge hit. 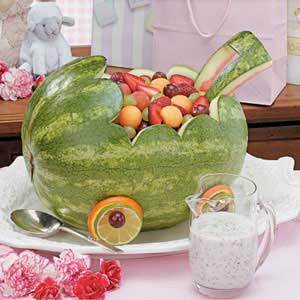 Fill it with any fruit you fancy and serve purchased poppy seed dressing alongside if you desire. 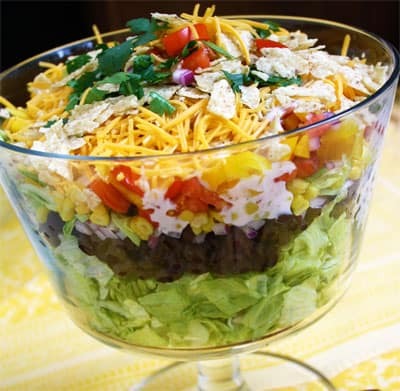 This layered southwestern salad is delicious and can be made a day ahead. It makes a perfect no-cook shower meal! 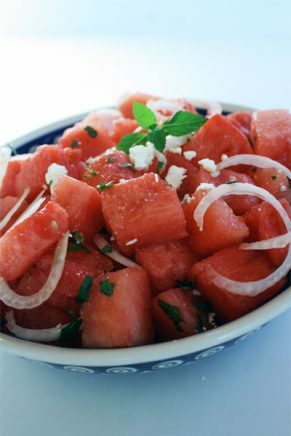 This Watermelon Salad is the perfect side dish, sweet and salty this recipe is truly one of the best. Here is a perfect salad recipe that is easy and super delicious! 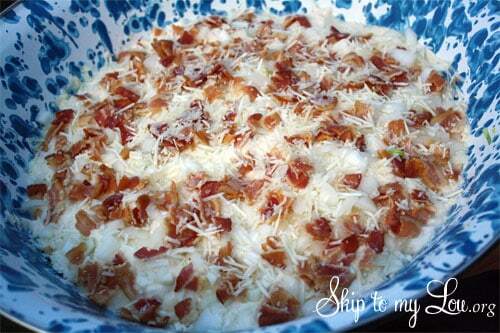 It makes a great light meal or the perfect side for a barbeque or sandwiches. The best part — it can be made ahead! 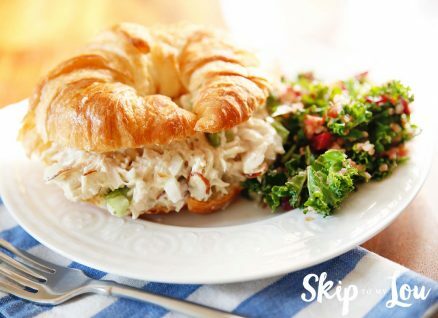 This chicken salad recipe is savory and crunchy in a creamy sauce! It also is the most versatile recipe. This chicken salad can be served hot or cold, in a wrap, on greens or on bread. Any way you serve it up it is great for a shower. 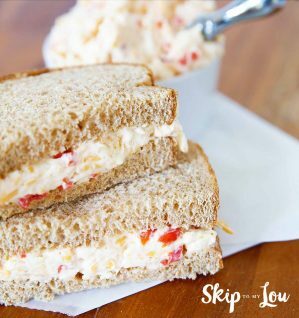 Pimento cheese is one of those foods that stands the test of time. It is also super easy to make and extra delicious. It makes the best finger sandwiches perfect for a baby shower or other gathering. 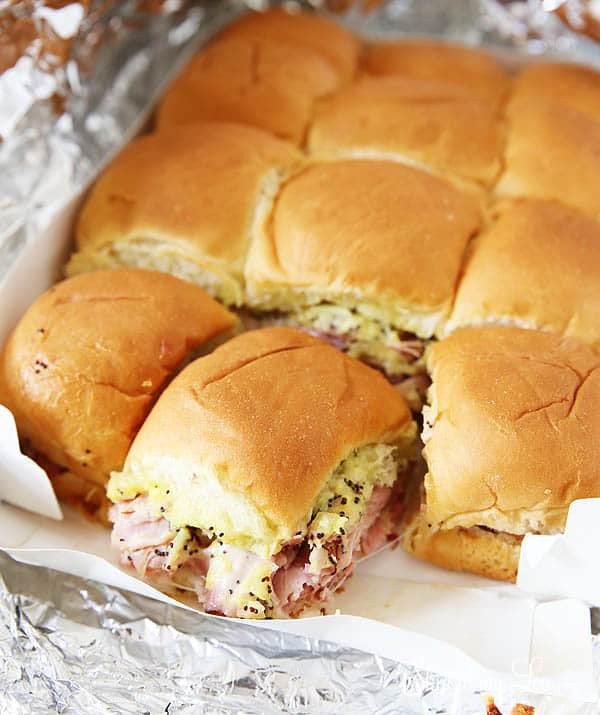 If you are wanting to easily feed a group this Ham Buns recipe is perfect. 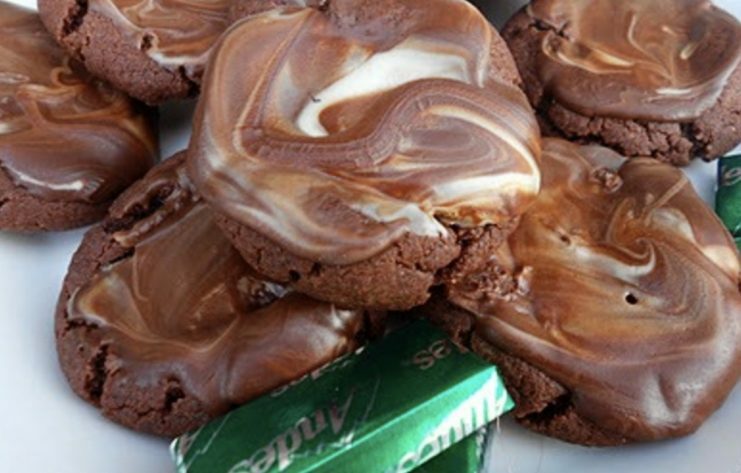 Everyone in the family has been making them for years with crowd-pleasing results! 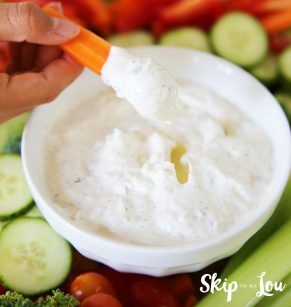 Put together the veggies and serve with the best homemade ranch dip recipe. It is the perfect way to eat your veggies! 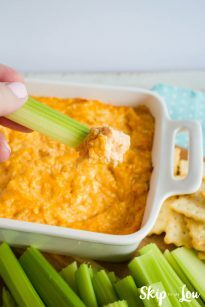 Buffalo Chicken Dip is one of my all time favorites. I am constantly asked for the recipe, and when I am bringing a dish to share at different parties, this one is often requested! Luckily it is super easy to make, so I never mind whipping it up for a crowd. 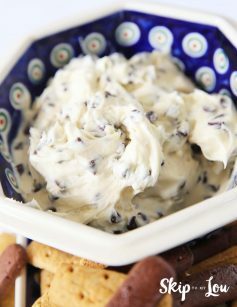 This Chocolate chip cheesecake dip is divine….. smooth and creamy! Just a few ingredients needed to make a delicious chocolate chip cheese ball. We love to serve it with graham cracker sticks. 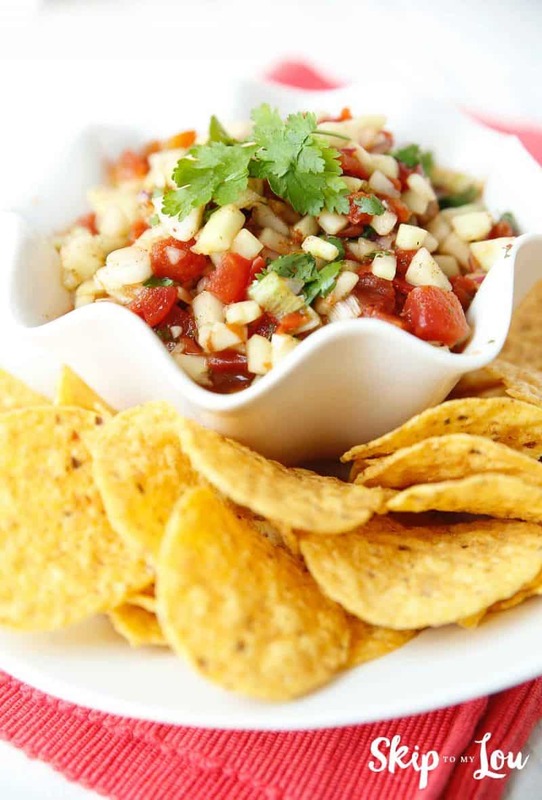 This cucumber salsa is great for people to munch on. 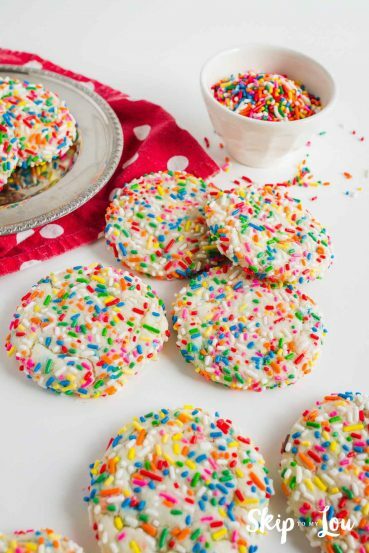 These funfetti cookies are colorful and cute and so perfect for a baby shower. They are so soft and delicious and they make the perfect dessert. 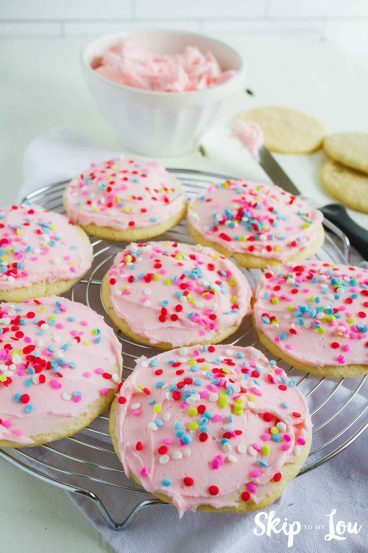 This is one of our favorite sugar cookie recipes they are almost as sweet and wonderful as a new baby is. 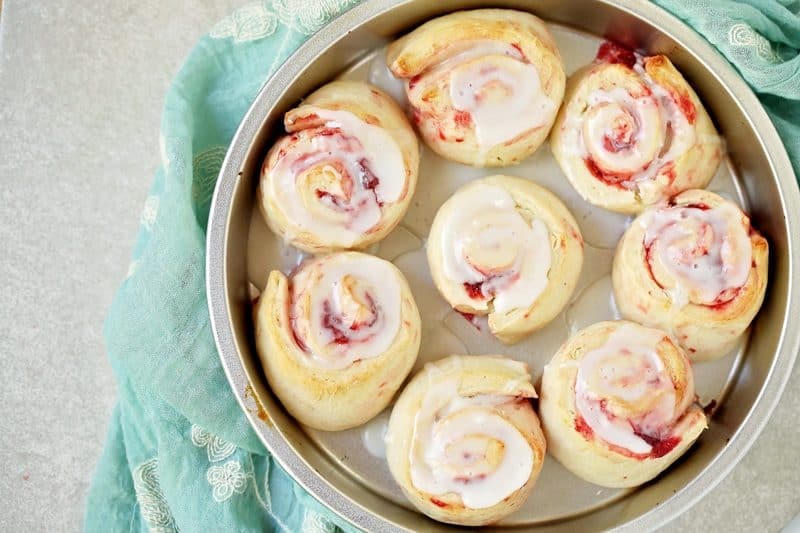 If you’re looking for a sweet treat, try these 1 Hour Strawberry Sweet Rolls. This recipe is super easy and everyone will love them. If y0u have some time these baby gift ideas are all handmade and very sweet! I love giving handmade gifts. Last week I also shared some fun baby shower games I gathered they will make hosting a shower very easy!